TUMWATER – Dr. Karen Johnson has been named as the Equity and Inclusion Administrator by Human Resources Director Melia Olsen within the Washington Department of Corrections effective August 8, 2018. Johnson currently serves as adjunct faculty at The Evergreen State College and brings more than 20 years of experience and leadership in federal and state government to the role. Johnson served as the strategic operations manager at the Employment Security Department, chief administrative officer with the James E. Van Zandt Veterans Affairs Medical Center, and regional Equal Employment Opportunity (EEO) program manager for the Veterans Affairs Ann Arbor Healthcare System. Previously, as the strategic initiatives executive at Department of Social & Health Services, she led the development of a respectful, equitable, diverse and inclusive (REDI) workplace culture to achieve organizational excellence and results. Johnson earned her Master of Public Administration and doctorate in Urban Studies from Old Dominion University. She is a Certified Master Respect Facilitator, a Certified Diversity Professional, is currently pursuing the Certified Diversity Executive credential, and is a 2018 participant in the Leadership Women America program. 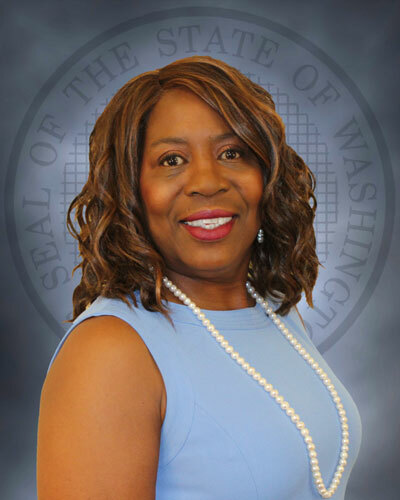 She has an extensive portfolio of community service and currently serves on the Special Education Advisory Council and the Washington Statewide Reentry Council. Johnson’s appointment follows the departure of Melanie Garrison, Human Resources program manager, who was named as a Human Resources field office administrator at the new Department of Children, Youth, and Families.